Q. Can I browse or visit the Grand Avenue Library? Grand Avenue Library stacks are not open for browsing. If you need access to materials from Grand beyond paging individual items, please contact the Grand Avenue Library staff to explain what you need and we will make every effort to assist you. Please telephone (213) 821-2045 or email grandlib@usc.edu for assistance. 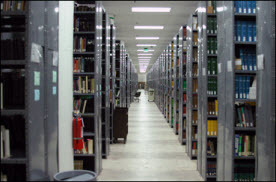 Different access guidelines apply to the facility's government documents collection.